BIRMINGHAM — Conway MacKenzie has named executive Michael Musso as the firm’s new managing director. 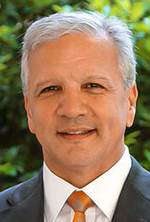 Musso has 30 years of experience in leading and rebuilding underperforming companies as CEO, financial adviser, and chief restructuring officer. Previously, he served in various leadership roles at Procter & Gamble, Pepsi Cola ,and Frito-Lay. He is a member of the American Bankruptcy Institute, Turnaround Management Association, CFA Institute and Guidepoint Global. He also serves on the board of directors of Cosmetic Specialties. He is a graduate of the University of Tennessee, Knoxville.